In recognition of the selfless acts of service to our country, please accept a discount of $500 off almost any new 2016, 2017, or 2018 Chevrolet, Buick, GMC, or Cadillac. All active, reserve and veteran military personnel (including spouses) are eligible. 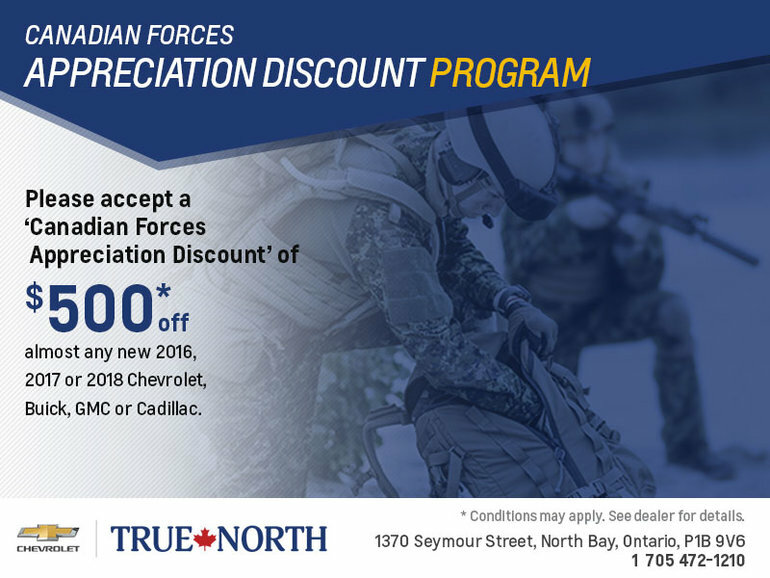 Simply bring proof of either a current or past Canadian Forces membership to True North Chevrolet!